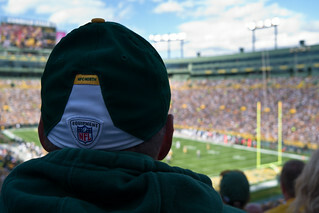 Photos from the Green Bay Packers game against the New York Jets on Sunday, September 14. The Packers won 31-24. My first and only time seeing the Packers play was in either 1969 or 1970, when we saw a practice scimmage while passing through town on a family vacation. I've been a fan ever since but this was my first trip to Lambeau Field.